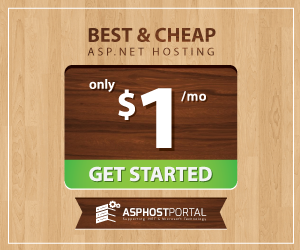 EasyHostingASP.NET | Best and cheap Windows Hosting. UKWindowsHostASP.NET and Falcoda.co.uk are two web hosts which provide Windows hosting in United Kingdom. Here is our UKWindowsHostASP.NET vs Falcoda.co.uk side-by-side visual comparison of their hosting service that we hope will help you when buying UK Windows hosting for your site or blog. If your preference is to run ASP, MSSQL or any other Windows based scripting, then this hosting review comparison will guide you to find the best cheap Windows hosting in UK. This UKWIndowsHostASP.NET VS Falcoda.co.uk comparison is based on our real experience and referred to verified customer reviews, comparing UKWindowsHostASP.NET and Falcoda.co.uk in terms of price & features, performance, reliability and support. UKWindowsHostASP.NET shared windows hosting packages comes with Windows Server 2012 and 2008 R2 as their hosting platform. With their starter plan £2.99/month + 35% OFF, it has come with 1 GB disk space, 20 GB Bandwidht, FREE MSSQL database, FREE MySQL database, unlimited email accounts. They have also support the latest ASP.NET 5, ASP.NET MVC 6, WebSocket, MySQL 5, PHP 5, URL Rewrite, SQL 2014 version, etc. While Falcoda.co.uk launches Home, Business and E-commerce Plan at the regular prices of £1.99/month, £3.49/month and £5.99/month. It seems that Falcoda.co.uk can provide you cheaper Windows hosting plan. However, when you look more in the features, they don’t provide you MSSQL database unless you have to pay optional extra for £5.99/month. So, their price will double if you take any of their Windows hosting plan. This section has a comparison of the main features of each UK Windows hosting provider. These are the really the most important features and often the deciding factors when it comes down to choosing one web host over another. In below, we have compiled a comparison table about the features of UKWindowsHostASP.NET VS Falcoda.co.uk. To compare the features, we took the Developer plan features from UKWindowsHostASP.NET and Business plan features from Falcoda.co.uk. From the table above, you can see that Falcoda.co.uk can give you unlimited bandwidth while UKWindowsHostASP.NET only offers you limited bandwidth. However, you can see the difference here, that UKWindowsHostASP.NET can support all version of ASP.NET even the latest ASP.NET 4.6 while Falcoda.co.uk only support ASP.NET version 2.0/3.0/3.5/4.0. Not only that, UKWindowsHostASP.NET also offers you the latest version of MSSQL database server, Windows Server and IIS. With regard to the control panel, UKWindowsHostASP.NET adopt Plesk, the most powerful and user friendly control panel and Falcoda.co.uk uses eXtend control panel. Like what we said before, Falcoda.co.uk can’t give MSSQL as the database for free unless you pay for £5.99/month, so the price will double and it seems very expensive to get this basic feature of Windows hosting. Data center used by Falcoda.co.uk is only located in UK. They use the state of the art data centers and these data centers boast fully redundant power with several diesel generators. They promise to give you 99.96% network uptime. It is important that you will require assistance at some point, so pay attention to the support options and policies offered by potential hosts. UKWindowsHostASP.NET could set up your domain and server once you have signed up for your new account. This allows you to start working on your website right away. You can contact UKWindowsHostASP.NET’s support via e-mail and tickets, they’re ready for you 24/7 in time. While Falcoda.co.uk provides you e-mail support, live chat and phone service. Based on the above UKWindowsHostASP.NET vs Falcoda.co.uk side by side comparison between these two value for money hosting providers, UKWindowsHostASP.NET is a clear winner because they can support richer hosting features and fast ASP.NET hosting performance. Therefore, UKWindowsHostASP.NET is the best cheap UK Windows hosting provider because of their affordable, fast and rich-featured hosting.